England has been overly domineering in this series thus far and looks good to steal the show by the end of the series. However, the Indian team is expected to give a good fight in the remainder of the series. After the Lord's debacle, the Indian team management will need to introspect and rectify the mistakes that they made in the second Test. 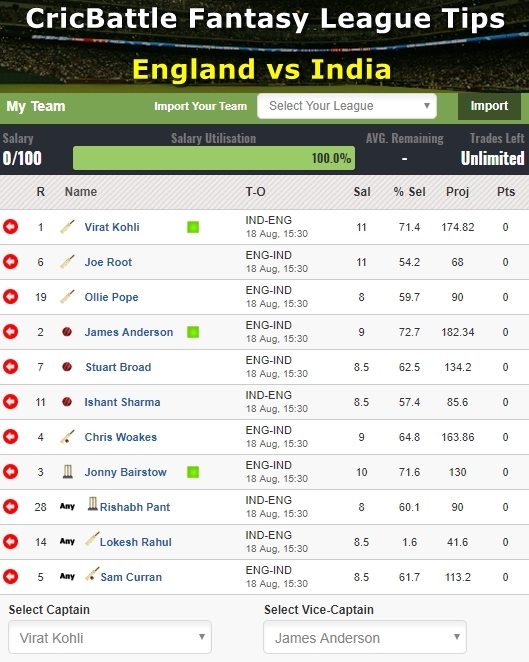 On the other hand, England looks good to go with a strong and confident team up their sleeve. Thus, it will turn out to be a crucial match for both, India and England, as the former would be fighting hard to save the series while the latter will be contemplating a yet another home series win against India. Best economical pick – Chris Woakes, the Man of the Match in the previous Test against India, made his comeback to the Test cricket with an all-round performance in the second Test. His knock of 137* in the first innings of the second Test proved to be vital for England. Besides his handy knock, Woakes also shone in the bowling department with four wickets in the match. 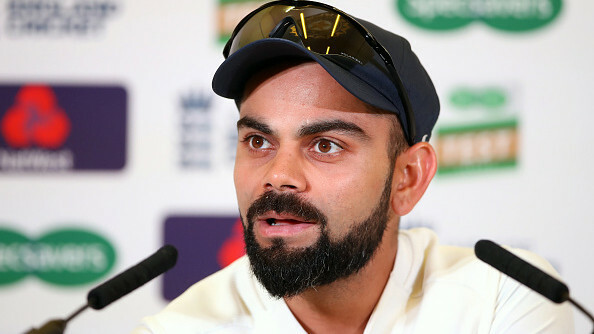 Top captains & vice captains – The Indian Captain Virat Kohli has been the best batsman of the side in the series so far and the only one to cross 200 runs. However, he, too, would be disappointed with his performance in the 2nd Test, scoring just 40 runs. He will look to get back to his ominous best and get a couple of big knocks under his belt in the third Test and lead his side to victory. James Anderson bundled out India for just 107 runs with a spell of 5 wickets for just 20 runs in the first innings of Lord's Test. In the second innings as well, Anderson was right on the money. He removed both the openers and then came back to polish off the tail. His match figures of 9/43 did justice to the hard work he put in the game. Smart pick – Jonny Bairstow has been doing all good for the Englishmen at the No.6 spot in the longest format of the game. Without any doubt, Bairstow has been the best in the business for past few years. 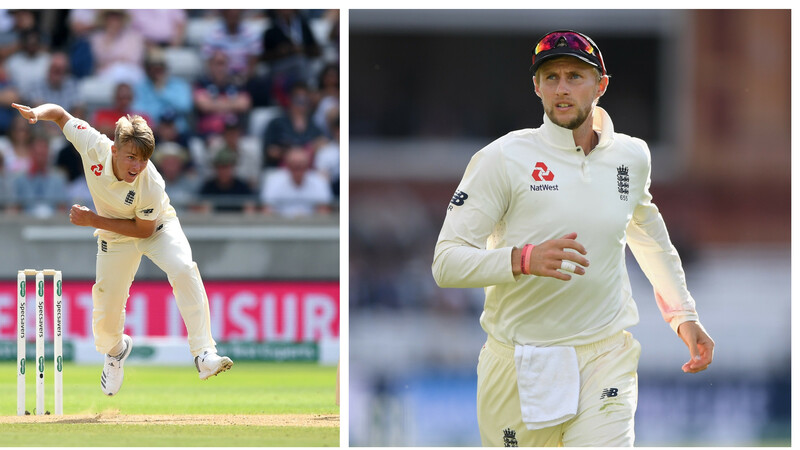 Having scored this many runs for England, Jonny boasts to be the key player for the Englishmen in the lower middle-order.Bairstow had a decent outing in the first Test as well as in the second Test. Cautious Pick – Dinesh Karthik was drafted in the Indian Test squad after the Nidahas Trophy heroics and a decent IPL season for KKR. But with scores of 0, 20, 1 and 0, he has not justified his selection one bit and his wicket keeping skills also seem to be below par. India would certainly be tempted to remove him from the playing eleven and give an opportunity to Rishabh Pant.